The Princess bus from Bagan to Inle (tourist price is 11,000K) leaves at 07:30 hrs and arrives mid-afternoon, but this depends on whether there are any issues along the way. You can also catch an overnight bus but as the roads are pretty bad. Typically, there’s either loud Burmese TV or music blaring on the bus, which you can’t turn off, so you won’t be sleeping. You must be ready for pick-up at your hotel from 06:30 hrs. 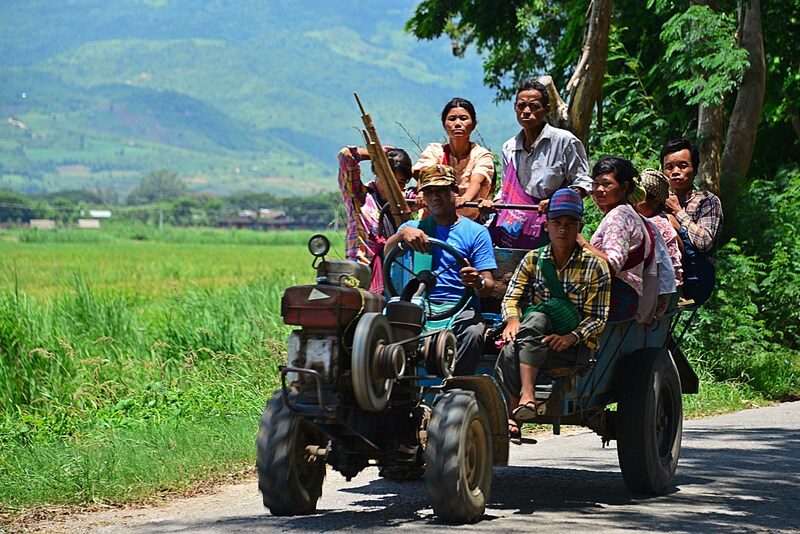 A small covered pick-up truck arrives for the drive around the endless Bagan hotels until the vehicle is rammed full with other passengers and luggage, before continuing onto the out-of-town bus station. Our bus is overbooked and 2 Scottish guys have to sit on small stools, in the middle of the aisle. Not great, considering they paid the premium tourist price whilst locals pay a quarter but have seats. A very long trip to be sitting in an aisle! 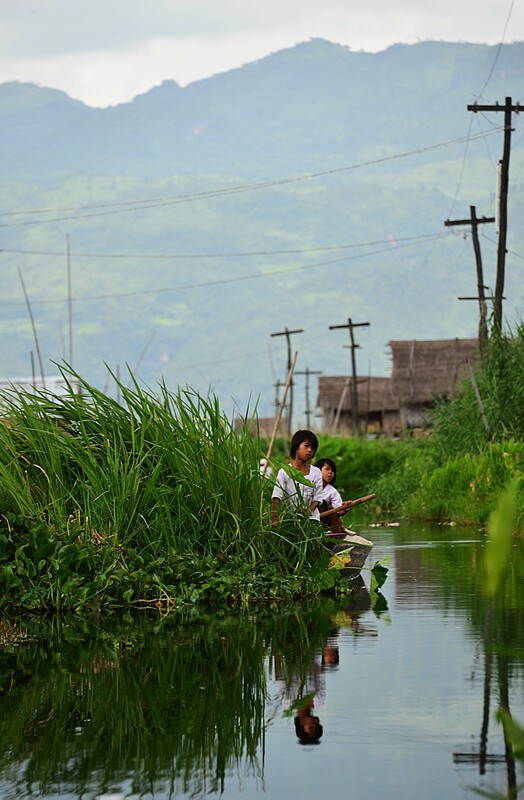 The entrance fee for the Inle Zone is USD$10 or €10 and valid for one week only. Although, if you prefer to pay in the local Burmese currency, the government has this all sewn up, so that you actually pay more than the US or Euro cost. 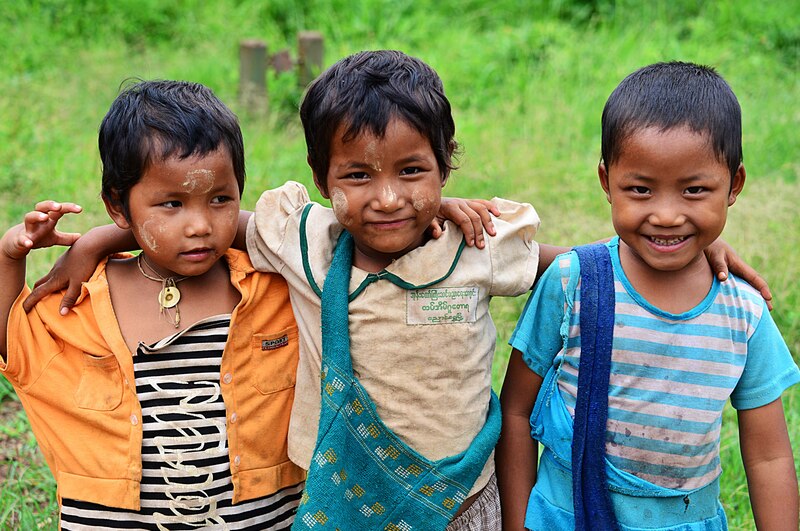 The majority (or total) of each entrance fee in Myanmar goes to the government – of course there’s no corruption. 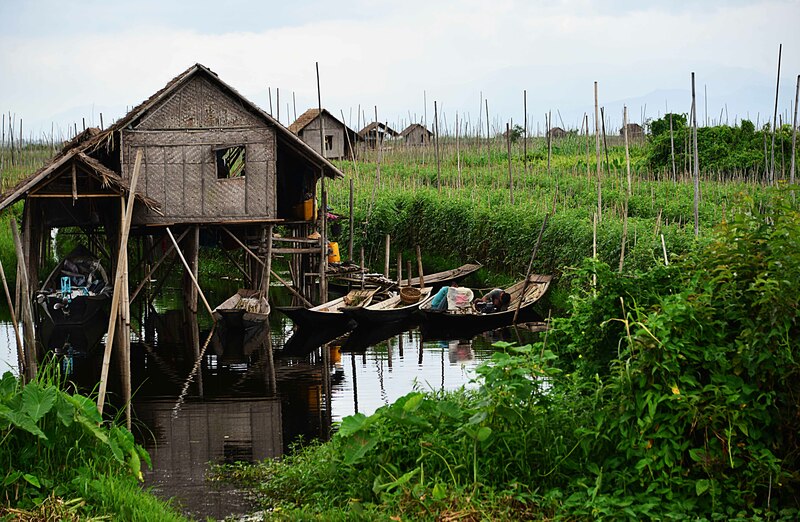 Inle Lake is densely inhabited by many different local tribes so it’s very easy to cycle around or take a boat trip down this spectacular lake. All hotels, most restaurants, and booking agencies hire bicycles (2,000K per day). Depending on how energetic you’re feeling and if you want to cross the lake, you can cycle either way of the bicycle route. 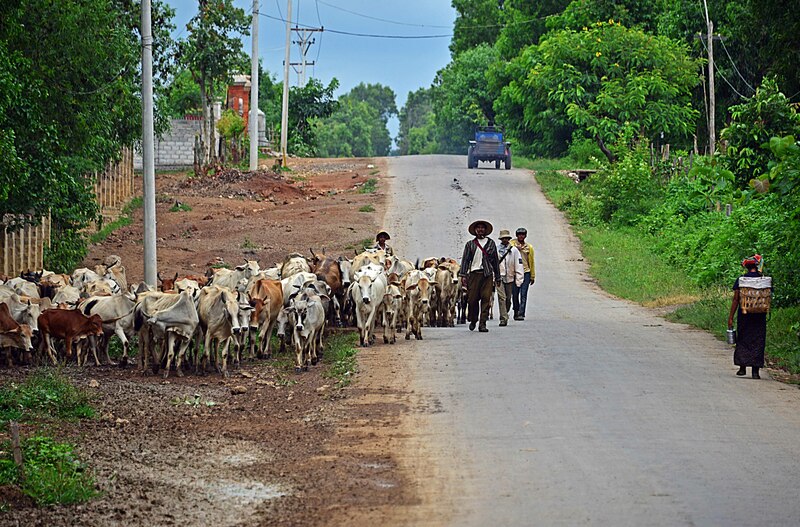 Starting from the boat landing bridge in Nuang Shwe, head west on the bitumen road for gorgeous rural vistas and rustic farming methods dating back centuries. Like stepping back in time. The cycle to the Hot Spa (US$8 entry) is about 10 kilometres and from there, it’s about another 20 minutes to Kuang Dein. This is where you are approached by young and old locals that own a boat and anxious to take you across the Lake for a price (low season 6,000K). Before Kuang Dein and about 2 kilometres after the Hot Springs, there’s a local market worth a stop for photos. 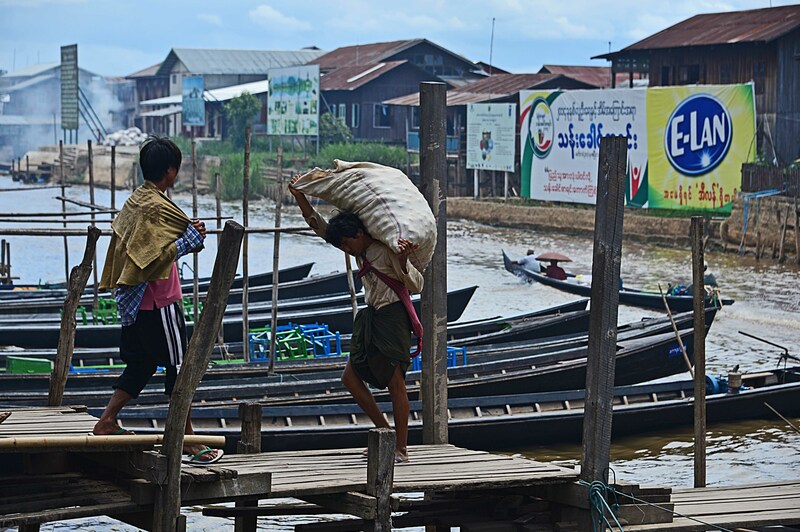 Apart from crossing this beautiful ink-black expanse of water, which changes colours depending on the time of day and the sky’s condition, this quick boat ride provides glimpses of the floating villages and vegetable gardens at Mine Thauk. A taste of better things to come on the full day boat trip. Once across the lake, stop and take a stroll on the half-kilometre Mine Thauk rickety wooden bridge, which runs through parts of the floating vegetable garden. The leisurely but uncomfortably bumpy cycle back north, passes the Red Mountain Winery into town and will take you about 2 hours (not sure of the actual distance). Stop at the winery (open until 18:00 hrs) for some wine tasting. Four different wine tastes for 2,000K, or why not buy a bottle? From the winery it’s about a half-hour cycle back into town but beware, the bitumen road resembles a cracked tarred moon crater. You won’t be cycling the next day due to a sore backside. 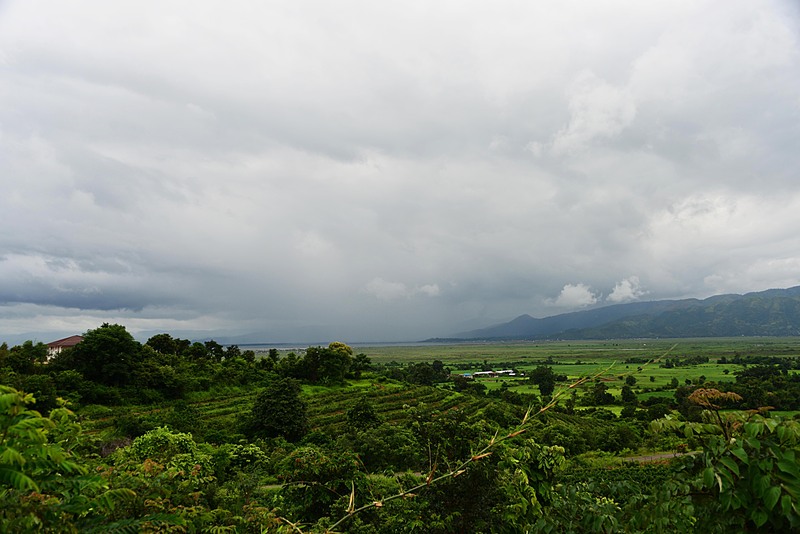 The scenery in the wet season is stunning providing fluorescent greens contrasting a deep blue and cloudy sky – a photographer’s delight. Wow, what a fantastic and excellent day! 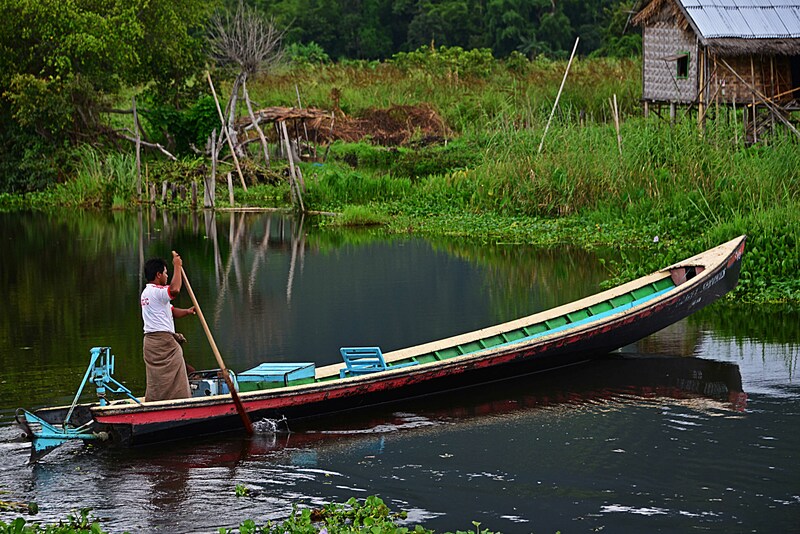 A one-day boat trip with Inle Lake Boat Trip Services (09 30381520 – Aye speaks English) costs 25,000K. Try to secure a boat trip from the town’s bridge (or wait only minutes until you’re approached) the day before. Leaving a booking until the morning, only wastes time and creates more stress. Aim to leave around 05:00-05:30 hrs to avoid the masses of tourists along the way. We tried to make sunrise but apart from the cloud cover, the boat left a little too late. Depending on what you negotiate, most boats provide the same itinerary as follows. 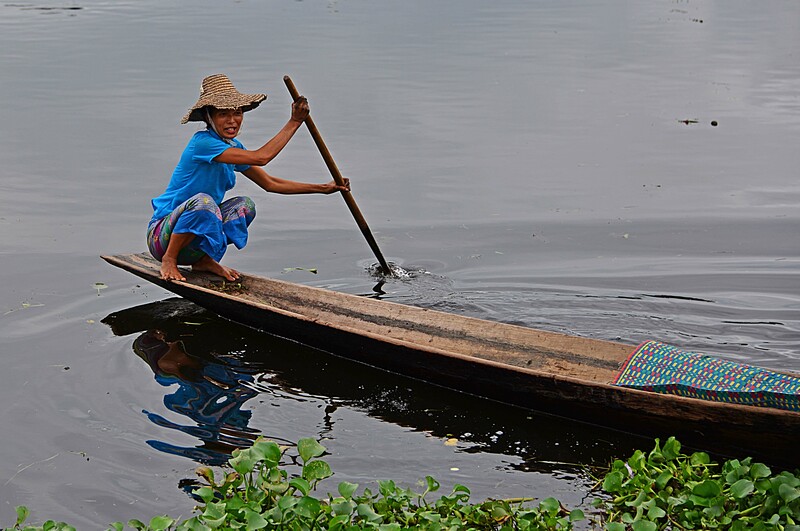 Glimpse the Lake’s fishermen incredibly balanced on one leg on the canoe’s bow, with the other leg paddling the oar and steering the canoe, whilst hands casting or retrieving the net! 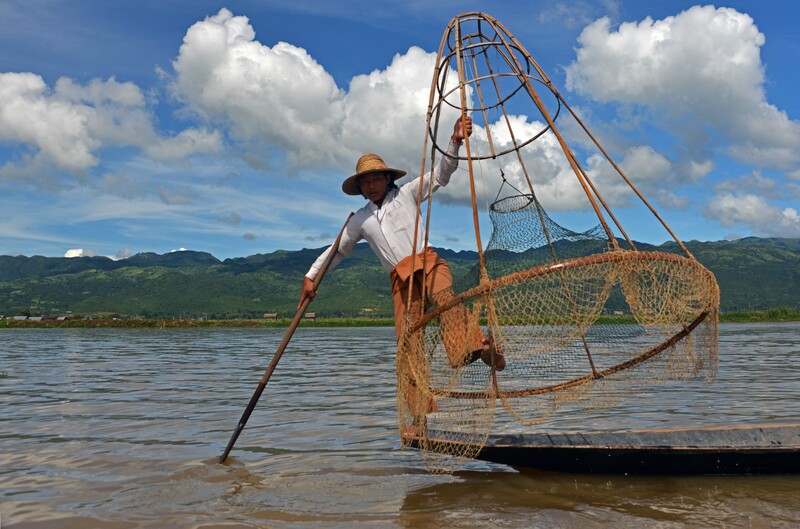 If you ask your boat driver to see the famous basket fisherman, you will pay 500K directly to the ‘staged’ fisherman situated just outside of the town’s entrance. This local is purely for tourists. And, performs several robotic poses with his basket in mid air, whilst draped in crisply ironed clothes, for you to photograph – everyone has to make a living, right? This same fisherman has probably starred in a million tourist photos. Next stop is the floating vegetable garden, which defies farming conventions – hydroponics on a mammoth scale. 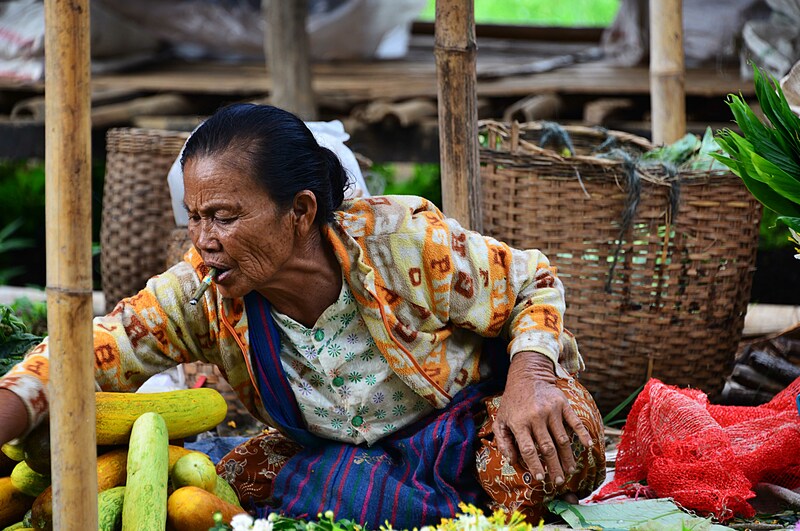 These Shan markets are bustling with locals eager to buy or sell bargains, produce, and pretty much everything. 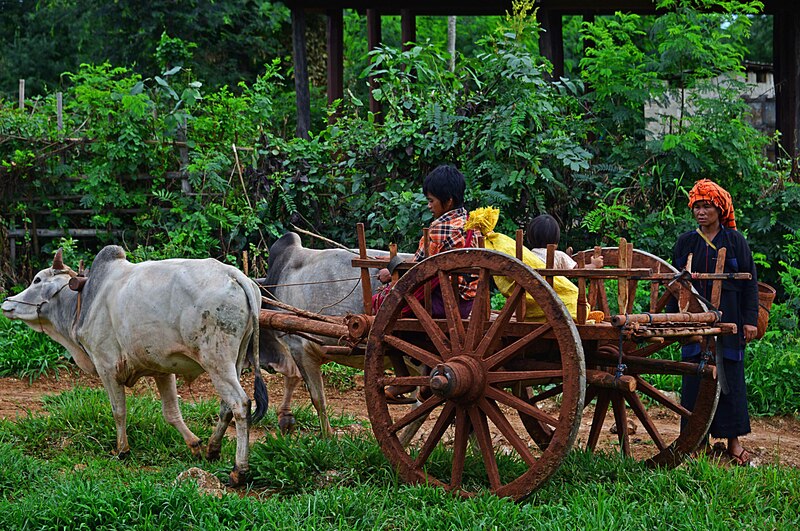 A scattering of cows and ancient-looking carts provide great backdrops. 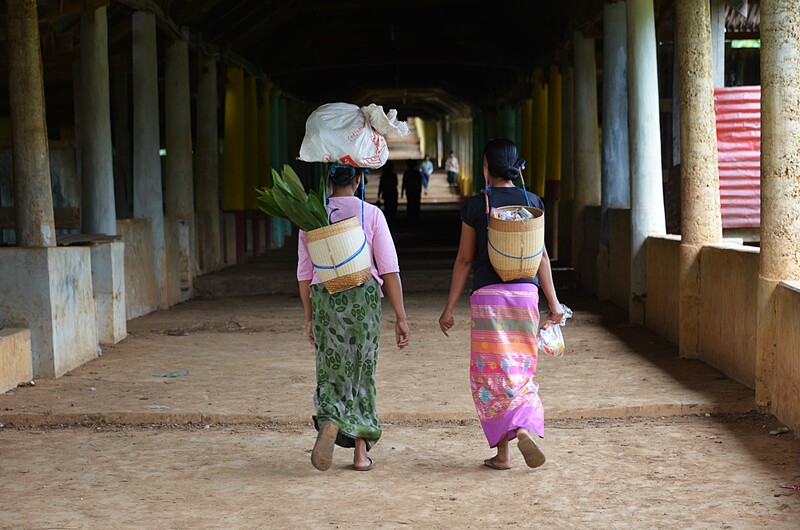 Walk up to the Thaung Tho Pagoda if you feel the urge but I found the markets much more intriguing for people watching, especially the colourful head-dress donned by the Shan women, contrasted by their black attire. Educational and fascinating – such a slow process with a small scarf taking 2 days to weave by hand. 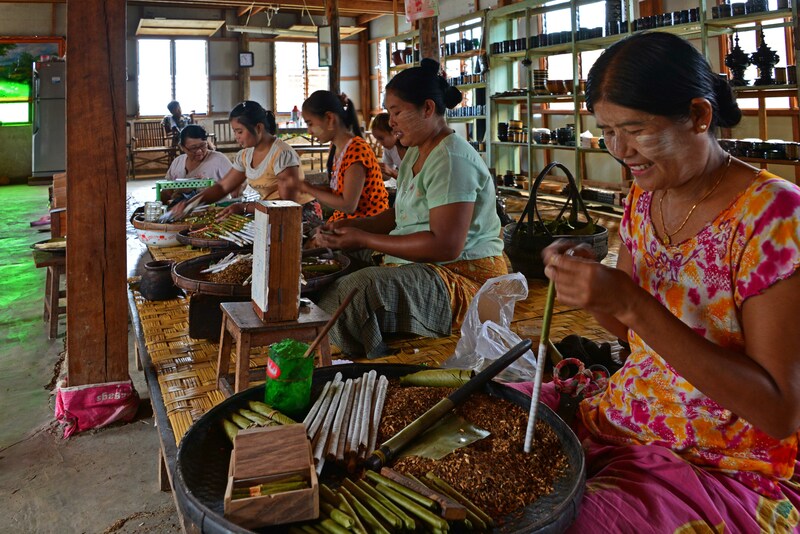 Cigars are handmade as is almost everything in Myanmar and you’re offered a cigar to smoke. Mine was a mix of rose and aniseed, and very different to a normal cigar. Apart from the glue that the women cigar makers use, everything else is natural. The boat building is at the same stop as the cigar making. Witness a 45’ Teak boats built with hand saws and chisels, which still uses a skill dating back hundreds of years. One boat takes 4 men one month to build and the boat sells for USD$2,500. A smaller boat sells for USD$800. Loads of jewellery to choose from should you wish to indulge but another tourist stop. The art of umbrella making also includes wood-turning with a machine of the handle, which probably dates back hundreds of years, as the technique hasn’t changed much. The 4 neck-ringed Padaung ladies were purely for tourists and quite disappointing. I expected to see these locals in a more natural and candid setting, bust sadly, this is a tourist show. 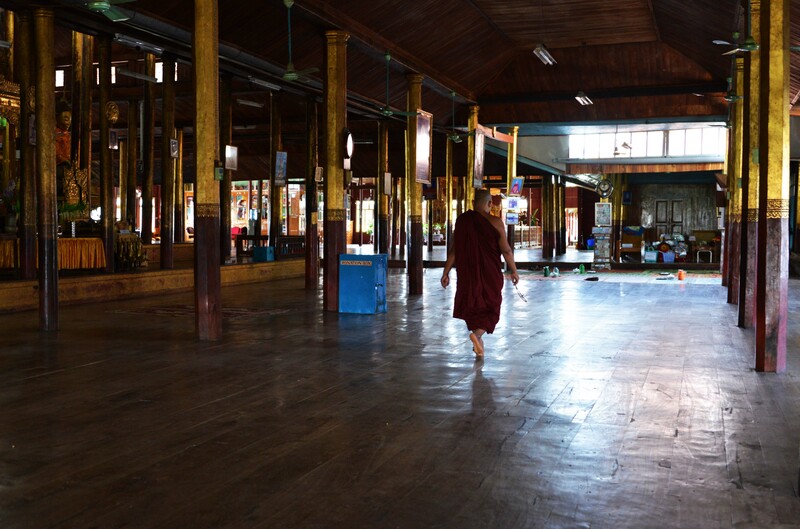 The Nga Phe Kyaung provides a pictorial history of Buddha’s inception, which is informative in the serene wooden building. 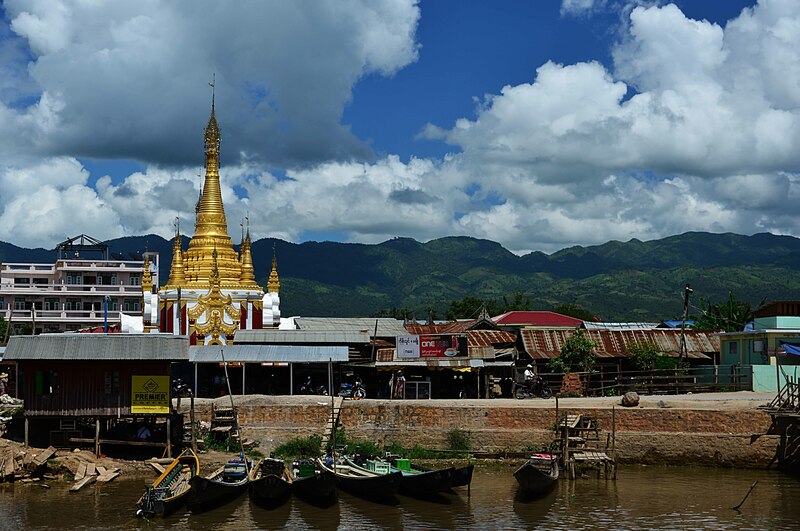 Throughout the day, the boat whizzes past weaving in and out of the most amazing scenery on the lake, which is surrounded by the stunning Shan Hills (Shan Highland). 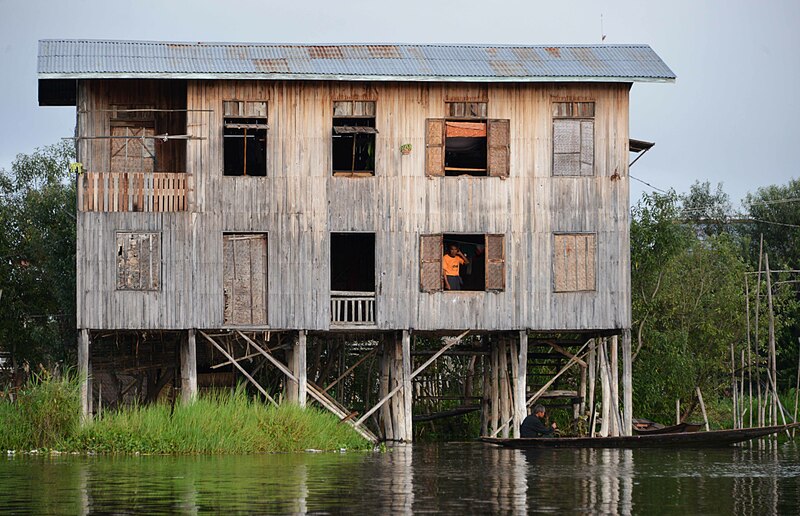 For me, more fascinating are the self-sufficient floating villages, which includes Pagodas, schools, and shops. All locals that live here use the lake as their lifeline and bath, clean teeth, wash dishes and clothes in the lake. Throughout the day in all of these tourist shops, you will be pressured into buying something and MasterCard is accepted everywhere (commission charged). Ultimately, the day is crammed with activities and memorable scenery, which changes constantly throughout the day. Make the effort to take one of these amazing trips. This region offers many walks and treks (day, overnight, or several days). Shop around for the best price as many hotels and booking agencies can organise everything for you…at a price. Walked east from town in search of the Htut Aing Cave but after running into the same Monk house from several different dirt paths and being turned back each time, gave up and walked back into town for a cold drink. Although it’s the wet season, it’s still very hot and muggy. You’ll break into mountains of sweat just by walking half a kilometre, so always carry loads of water, wear sunscreen and a hat. Also along this path is a small village with a school full of children and very young Monks; they are fun to stop and play with for a while and quite cheeky. Kyaw Kyaw Win, a Civil Engineer, Documentary Film Director, exhibit’s in his Gallery 19 (No. 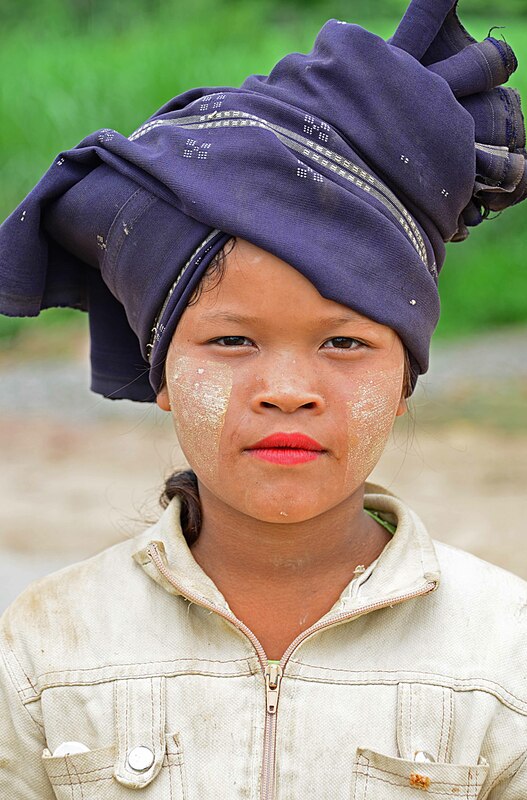 19, Shwe Chan Thar St, 09:00-17:00 – free entry) many photographs of the country. 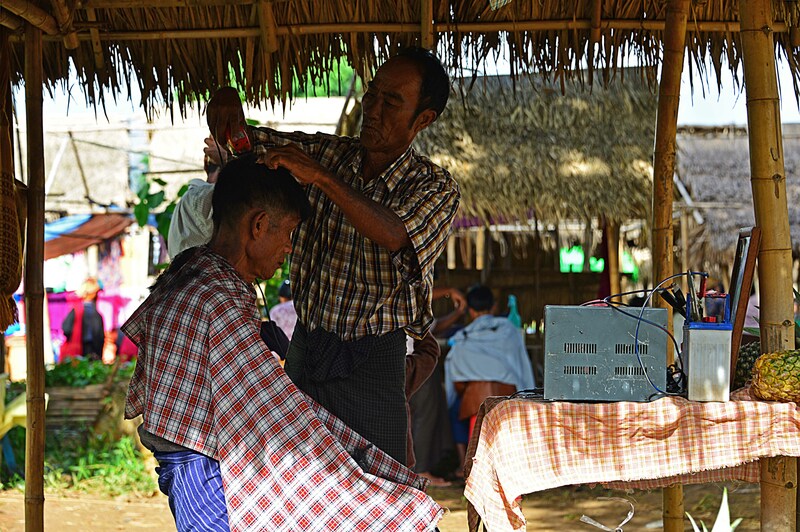 Kyaw’s photos provides an insight to areas that foreigners are not allowed to travel to – must re-visit Myanmar when greater access is available. Warning! A long rave about this hotel as it’s amazing. The best quality hotel so far in four months of travelling in SE Asia (Singapore, Malaysia, Thailand, Burma) and has restored my faith in Burma’s hotels and service. The service from all staff here is exceptional. On first arriving late in the afternoon, the staff took our heavy back packs to the room. Information of the Lake and a map, then we are led to the dining room for fresh fruits, varying snacks, and a pot of green tea. Each afternoon at around 16:00, complimentary fresh fruit arrives, which is lovely and refreshing to have on the patio overlooking the well-manicured gardens. The breakfast is excellent and varied each day – also with real coffee. Actually, we missed breakfast one morning as had a 5:30am start for the sunrise boat trip. The day before I’d mentioned to the lady at reception that we’d be missing their delicious breakfast. When we returned late in the afternoon, room service came with a delicious bowl of complimentary Shan noodle soup that was saved for us from breakfast. All this on top of our usual afternoon fruit – we didn’t need dinner – so very kind. The accommodation provides a large comfortable, spotless room (cleaned daily), and private bathroom with everything you need. The Brilliant is about a 20-minute flat walk from town but this is not a problem as you’re provided with free bicycles to be used at any time. Our overnight bus to Yangon does not leave until later in the evening, so requested a late checkout. After a leisurely check-out at 15:00, we are able to sit in reception, use the wi-fi, and watch TV. Staff even served us afternoon fruits. Exceptional value for money and would definitely recommend this hotel to everyone, no hesitation – the experience is wonderful. From the boat bridge, walk a couple of blocks on the main road until you see an orange sign for the French Toast on your right. 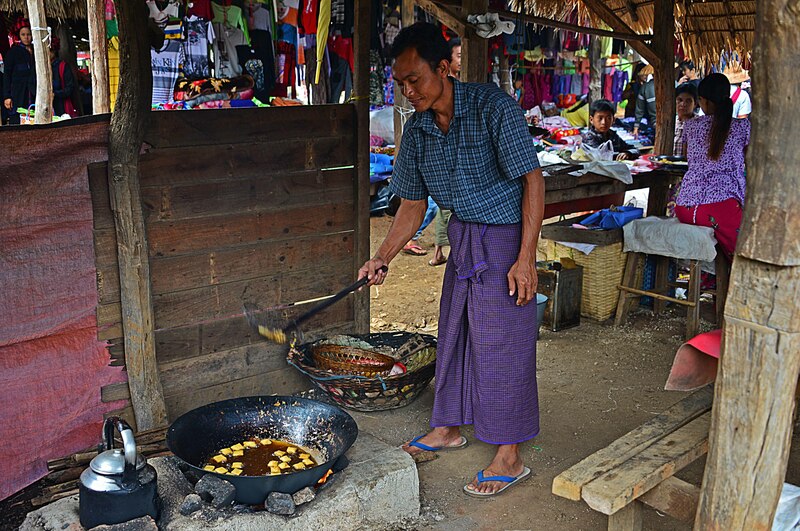 The freshly-baked bread with Caraway seeds is the best bread in Myanmar. Croissants are also excellent. The ambience is relaxing and meals are offered at a slightly higher price than usual, although the quality is very good. The French owner is a photographer/film maker and the restaurant’s walls are covered in gorgeous photos of Burma. A free documentary film is on each night at around 19:00 hrs. On No 43, Yone Gyi Rd, this Dim Sum restaurant is exceptional for local meals (1,500+K) and of course freshly in-house made Dim Sums (1,000+K); oh, and a Mandalay Rum shot is only 300K. Quality, service, and reasonable prices, make this a regular haunt. Flight back to Bangkok is from Yangon so the Hotel Brilliant organised the overnight JJ Express Bus (20,000K) to Yangon. The bus leaves at 18:45 hrs and takes around 11 hours – I hope. Although the bus quality is very good, be prepared for roads that are in bad condition and locals that don’t travel well, so, there’s a lot of throwing up and clearing lung noises. You also experience a driver that seems to have a problem with removing his hand from the horn or accelerator – it’s relentless! The bus travelled for a few hours then stopped for dinner, which you have to purchase, before continuing the journey. Stopping numerous times to pick up passengers from non-designated stops ensure you won’t sleep. 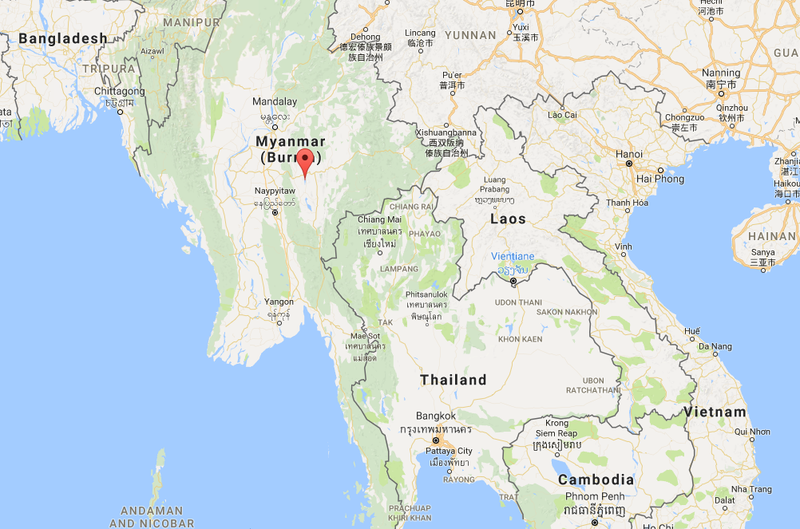 After travelling for almost 28 days in Burma then flying back to Bangkok, thought I’d write a short reflections’ post on Burma. Mainly because the experience in Burma really resonates with me and not too dissimilar to when I backpacked through India in 1985. Visit Nilla’s Photography for more images. 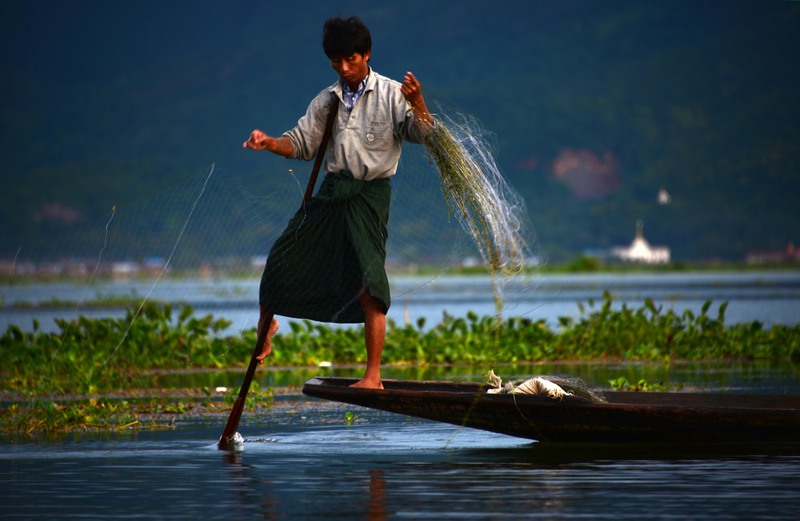 More posts on Burma. Your travelogues come alive in your pictures, Nila…..very detailed and helpful for anyone wishing to visit these exotic destinations…. This is a wonderful post. Beautiful and informative.